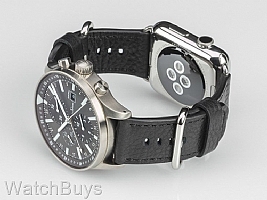 This is a brand new release from Sinn, and provides a novel approach to wearing a Sinn mechanical watch and an Apple Watch® on the same wrist. 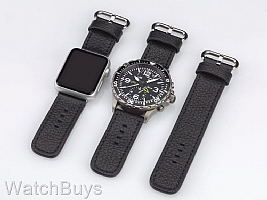 Please note that this strap is designed for Apple Watch® 42. Sinn strongly recommends that the mechanical watch feature a sapphire glass front, Tegiment hardening and magnetic field protection. First, two shortened strap halves (each featuring a toothed buckle) are attached to each watch. These strap halves and one of the two toothed buckles are then used to fasten both watches together. 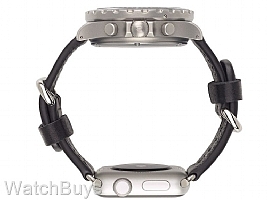 Strapped together, the watches can then be placed on the wrist and fastened securely with the other toothed buckle. Attaching the toothed buckles to both ends allows the watches to be centered on the wrist. A separate connecting strap, which is included in the set, ensures a high level of flexibility. 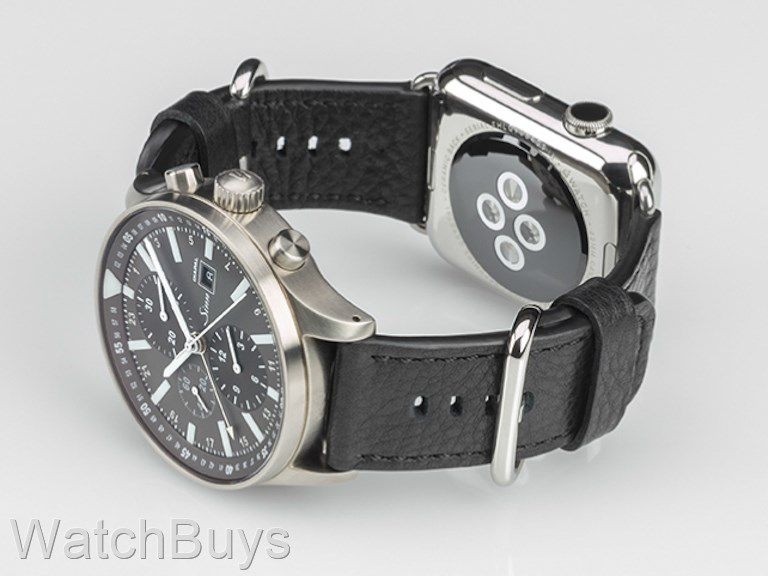 This allows the watches to be worn separately, if necessary.